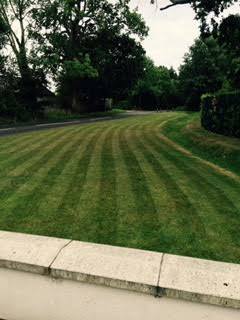 Ed’s Garden Maintenance Operator Neil who covers the Sevenoaks area sent in these photographs of two lawns he recently mowed. 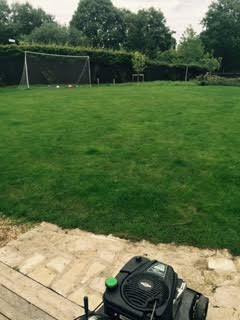 The rain doesn’t stop us! 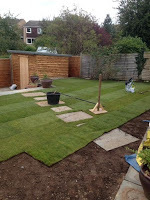 Ed’s Operator Mike who covers the Stratford-upon-avon area sent in these photographs of some of his recent projects. 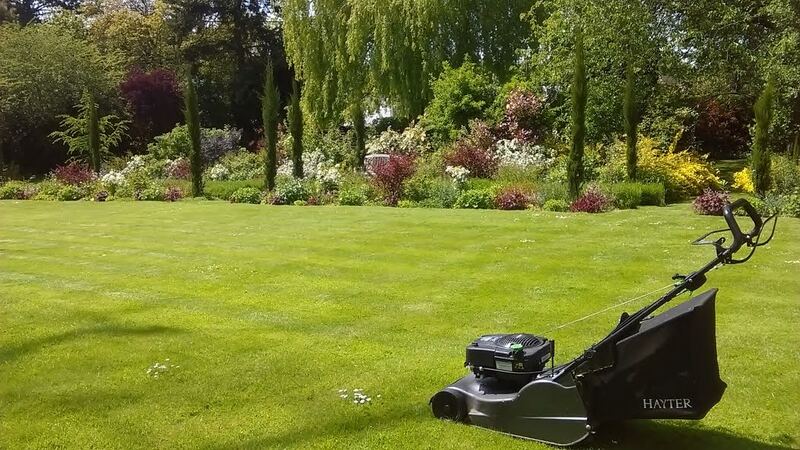 Ed’s Operator Paul who covers the Swindon area sent in this photograph of a long lawn he enjoys mowing. 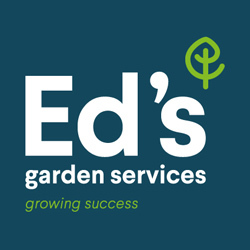 Ed’s Operators enjoy the variety of work they get to do and the customers they meet. Please contact us for a free estimate. 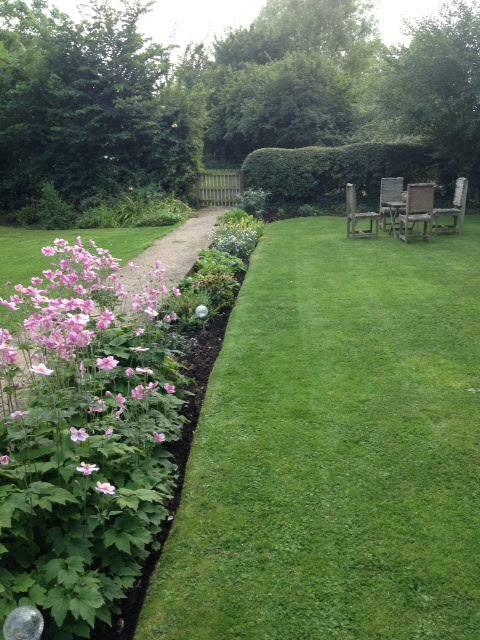 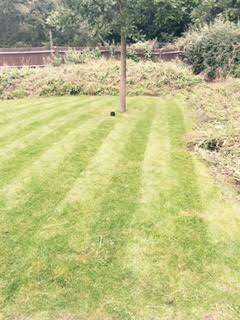 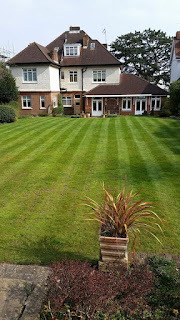 Ed’s Garden Maintenance Operator Nigel from Worthing sent in another ‘Lovely Lawn’ photograph. 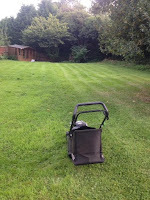 Ed’s Garden Maintenance operator Andy who covers the Woking area sent in some photographs of his recent mowing jobs. 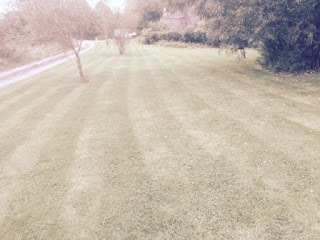 The one above stands out because it is on a curve. 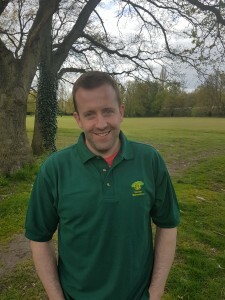 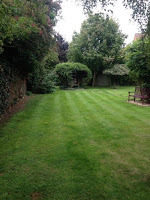 The photographs below show a large over grown lawn which had to be mowed with care. 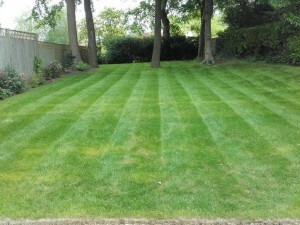 Please contact Ed’s Garden Maintenance for free estimate. 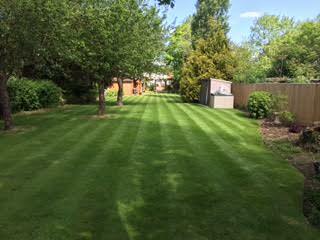 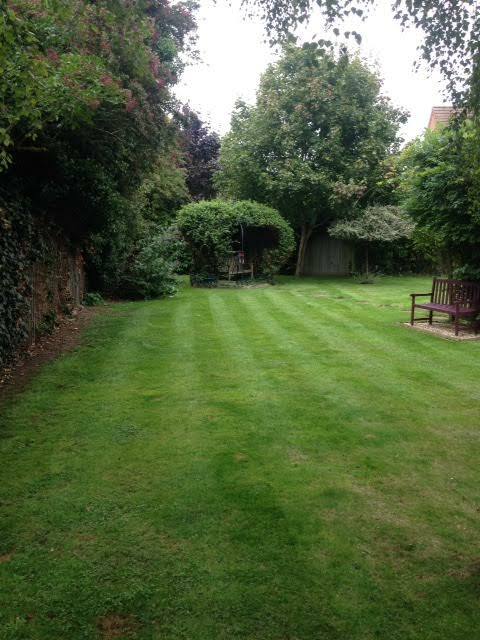 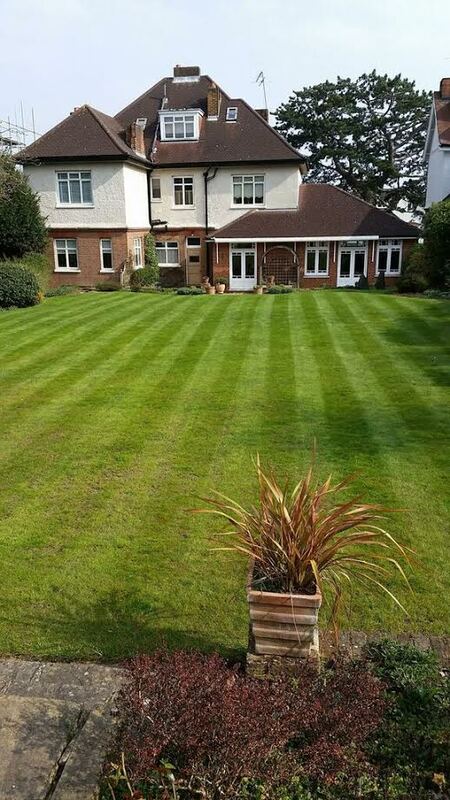 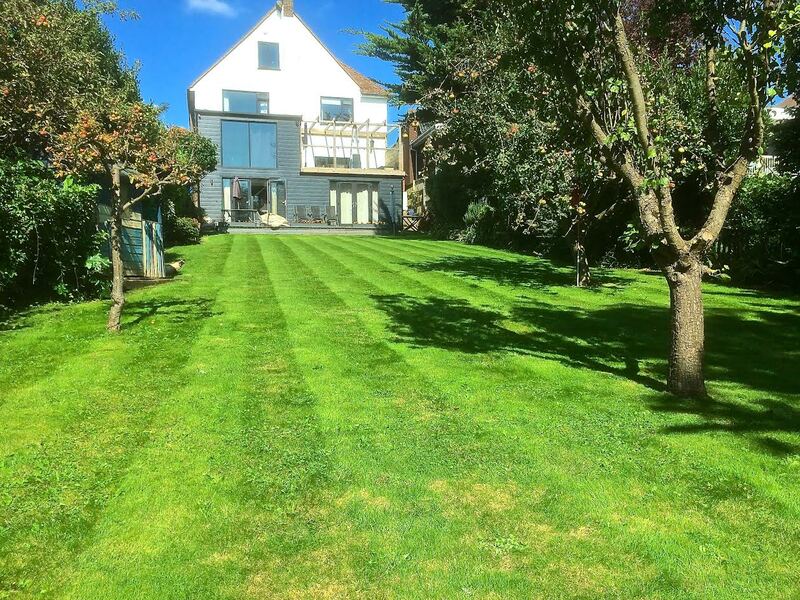 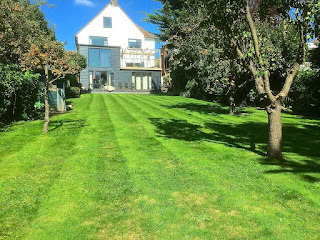 Ed’s Garden Maintenance Operator Dan who covers the Esher / Thames Ditton area sent in this photograph of a beautifully striped lawn. 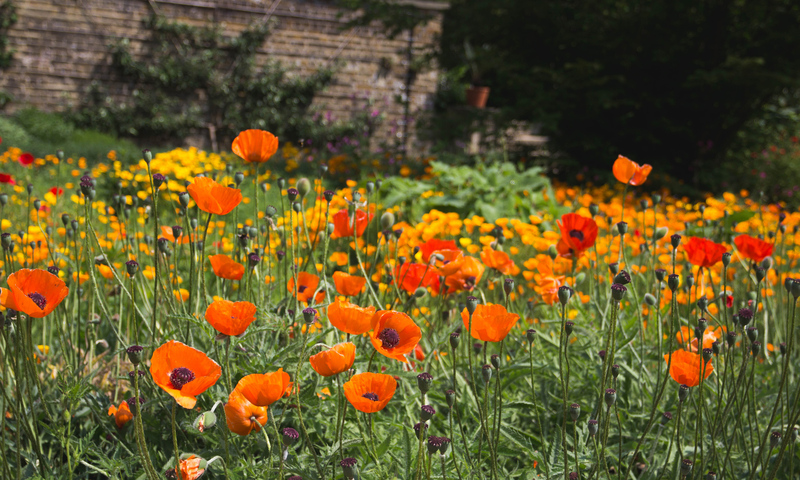 The effect immediately gives the whole garden a feeling of being well maintained. 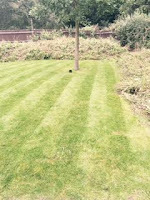 Please contact Ed’s Garden Maintenance for a free estimate. 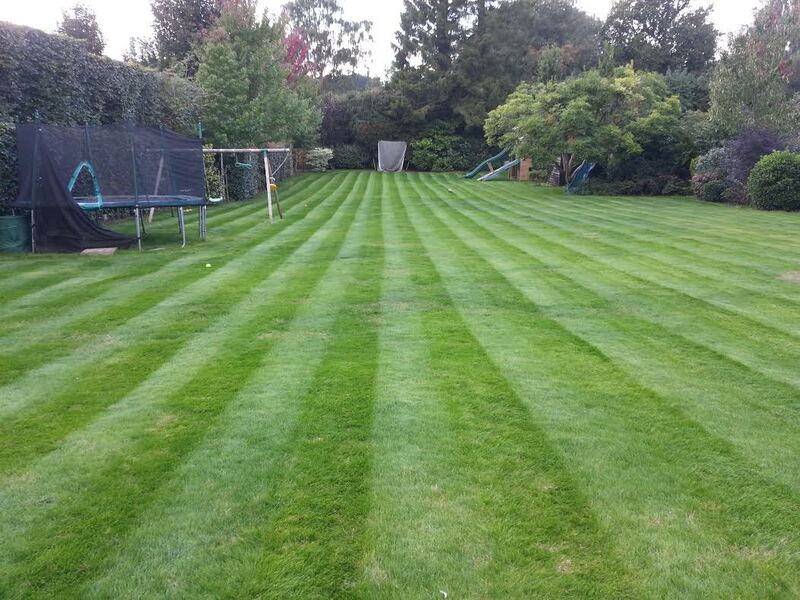 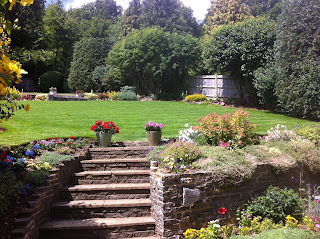 Ed’s Garden Maintenance Operator Guy sent in this photograph of a ‘nice’ lawn near Maidenhead. 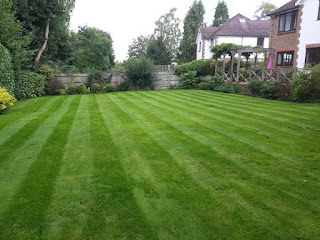 Guy said “Creating those stripes takes practice but is is very satisfying when you see the end result.” Please contact Ed’s for a free estimate.